Life insurance is not the most compelling topic and one which many of us do not like to give too much thought. What’s more, paying a premium each month while you are still young and money can be tight, could seem unnecessary. However, one day it could prove to be one of the most important investments you ever make, should the worst happen. We asked life insurance broker Reassured to detail from their experience the top 5 reasons people do not take out life insurance (and why they are wrong). We all incur those unavoidable costs, a mortgage or rent, council tax, the food shop, petrol and utility bills. As a result, you cannot afford the luxury of life insurance protection too, right? In reality, the cost of life insurance may not be anywhere near as expensive as you may think. Especially if a policy is taken out while you are still relatively young. For example, a 38-year-old, non-smoking mum, covered over a 10 year term, for an assured sum of £130,848 could secure cover for just £10 a month – (source: sunlife.co.uk). That is less than 34p-a-day. Let’s face it, in 2019, 34p won’t buy you a packet of your favourite crisps. However, the £130,848 pay out could clear your mortgage or cover future living costs for your family if you were no longer around. If you do not have life insurance and have dependants, I challenge you to give up a bag-of-crisps-a-day and trade it in for the reassurance that life insurance brings. Not only would you receive peace of mind that your loved one’s future is fully protected, but you would probably be slightly healthier too. You go to the gym, you eat healthily, you do not smoke and even if you say so yourself, you look pretty good. From experience, we know that most young people never think they are going to fall seriously ill or worse. Although there are many factors that determine the cost of your life insurance premium, age is one of the most influential elements. 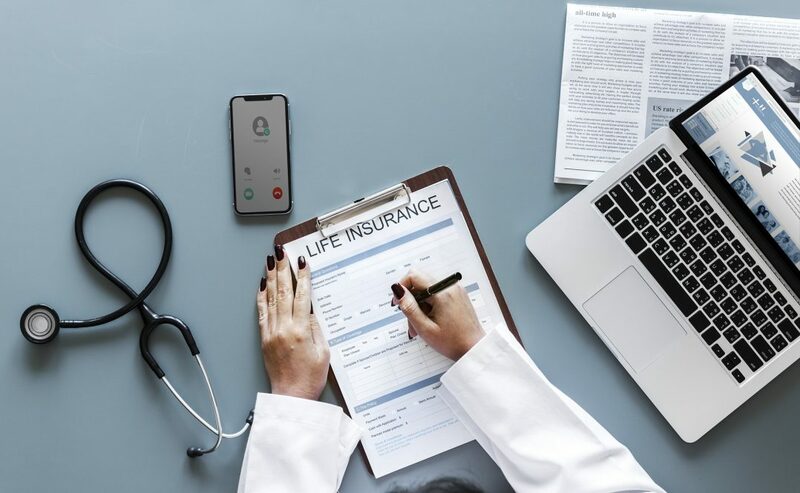 In reality, the best time to take out life cover is when you are young because you can lock in ample cover, but pay a very low monthly premium – perhaps as little as 20p-a-day. If, god forbid, something was to happen to you, trying to secure comprehensive cover after falling ill, would either be impossible or just very expensive. Even if you are not yet a homeowner, the majority of young people do have some financial commitments that need protecting. Maybe you have a car on finance, a 12-month rental tenancy agreement, credit card debt or a student loan? When we take on the scary responsibility of becoming a parent, it often makes us plan more seriously for the future.This is often the time when people take the leap and secure a life insurance policy. So if you do not have children yet, there is no need for life insurance cover, right? Wrong. What if you are in a loving relationship and you have a joint mortgage? Could your partner afford the monthly mortgage repayments without your income? Could they afford the inevitable household bills and home maintenance costs? What if you had ‘borrowed’ significant funds from your parents in order to pay the deposit? Would you want your parents to lose out on getting the loan back? Maybe you have other debts too, which would become their responsibility? And then there’s the average £4,271 cost of a funeral, and the overall average cost of dying £9,204. Yes, having children is quite rightly a massive factor in why people take out life insurance. But we believe the vast majority of people would massively benefit from having a policy, with or without dependants. I think I am covered by my employer? In today’s business world, most employers take employee benefits pretty seriously. It is often used as a bargaining tool, to recruit in-demand candidates. Perhaps you have just started a new job and been offered death in service, promising to pay out 3x your annual salary if the worst were to happen. You probably think you’re covered? In truth, especially if you have a mortgage and/or children, 3x your salary is not going to provide much long-term security for your loved ones. In contrast, life insurance, even if you have only just started paying in, could clear your entire mortgage, provide your family security, not just for a few years, but for the rest of your spouse’s life, or until the children are financially independent. 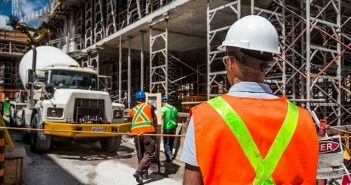 Another important consideration with death in service protection is that, if you move to a new job, as most of us do, the likelihood is the policy cannot move with you. Although employee benefits could provide a welcome cushion, in many cases it will not provide sufficient long-term cover. From our experience this is the most common reason we hear. Especially among younger customers. You understand the benefits of having life insurance. You have the funds to pay the monthly premiums. You just never got around to taking the plunge and securing that policy. Let’s be honest, there are normally other things we would rather be doing than trawling the internet, looking for the best life insurance quotes. It’s very easy to put things off until next week…or the week after that…or next month. The reality is we do not receive a reminder in the post, prompting us to take out life insurance. It’s up to us to be proactive and prepare for the unexpected. If you want to take out life insurance to protect your loved ones, do not put it off for another day. Taking out life insurance is a heroic, selfless act – so, be a hero today and get on with enjoying life. The best way to ensure you get the right cover at the best price is to compare multiple quotes. The cost of life insurance can vary between insurers as they employ different underwriting criteria. Do not take the first quote you come across as you may be unnecessarily paying over the odds. Use an FCA registered broker to do the work on your behalf. Whichever avenue you choose to get life insurance, the important thing is your family are protected, whatever the future may hold.